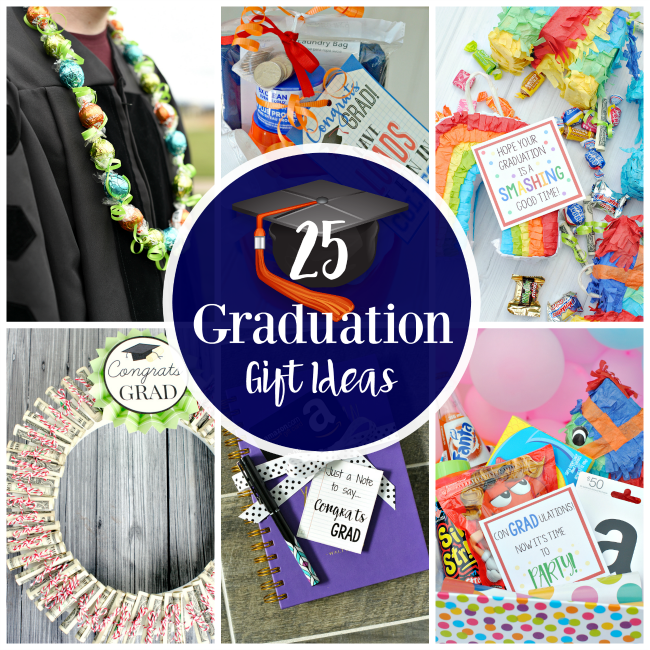 A Peek at the Fun: So you’ve got a grad and you need a great graduation gift? This DIY graduation gift basket is a fun and easy way to tell the graduate how proud you are of him or her. 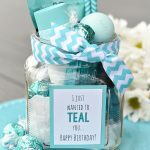 Put together your gift basket with gift cards, candy, party supplies and finish it off with a cute printable tag. Not sure what to get for that special graduate in your life? 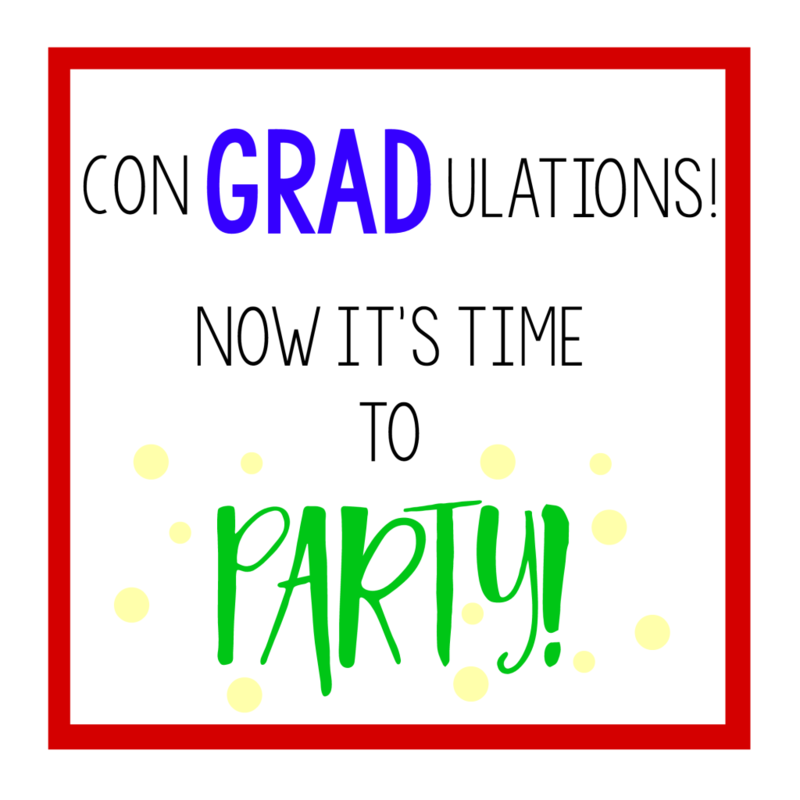 It’s fun to graduate and a time to celebrate-but how? 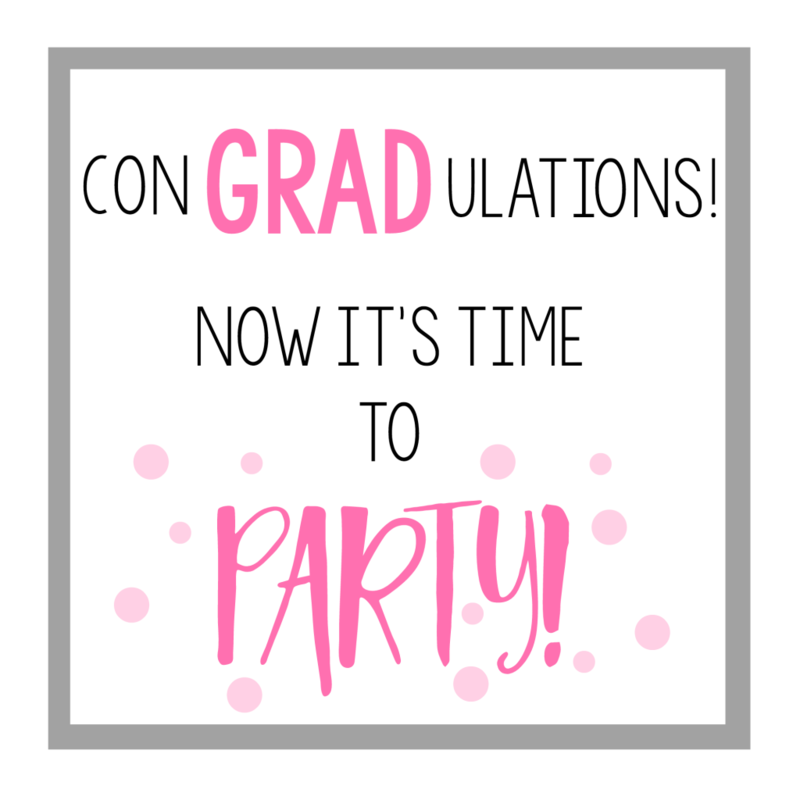 Your graduate has worked so hard, they deserve a little playfulness. 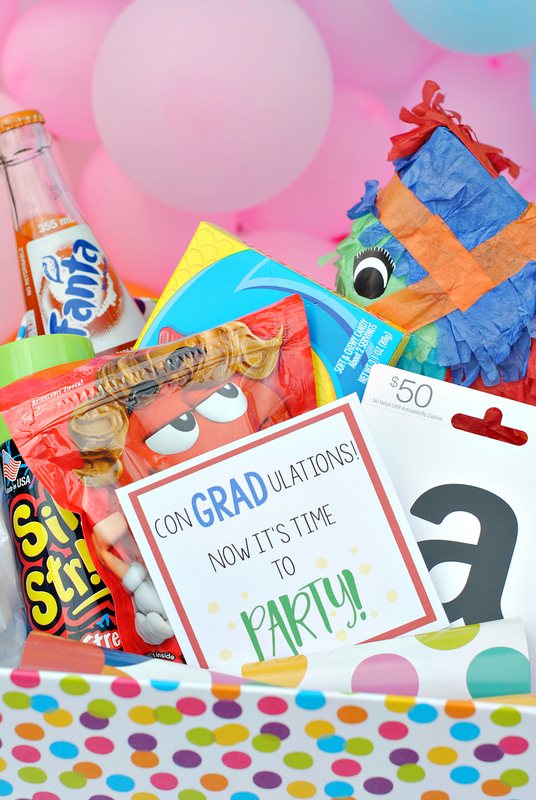 This graduation “party in a box” is an easy to put together graduation gift basket filled with all the party essentials-candy, silly string, party favors, gift card, and no party is complete without a piñata! 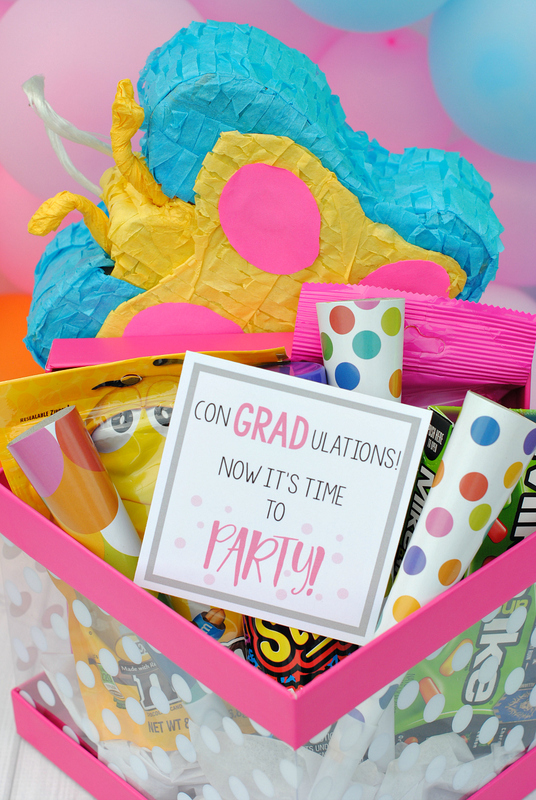 Throw all these fun graduation basket items in a cute and colorful box and you’ve got a fun graduation gift. 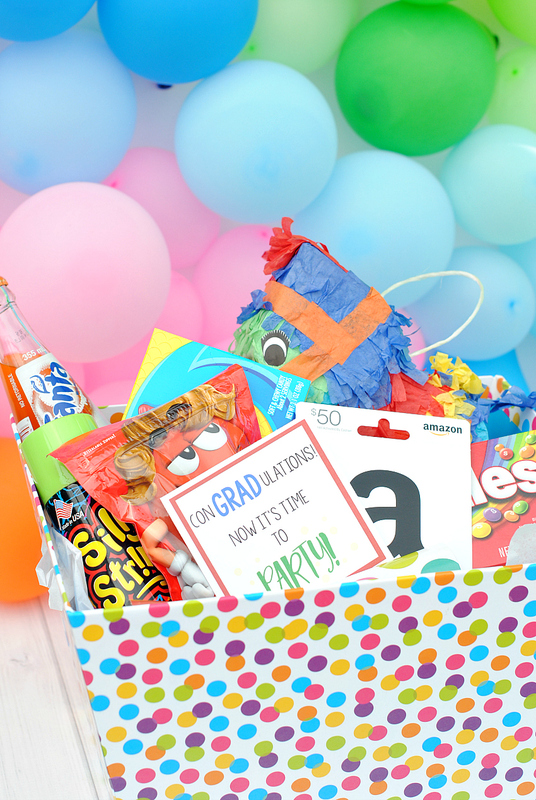 This DIY graduation basket is so versatile, you can spend as much or as little as you want, personalize it to your recipient and make it and make it fantastic. 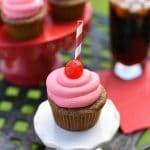 This graduation gift idea couldn’t be simpler. Choose anything bright and colorful and it will turn out great! 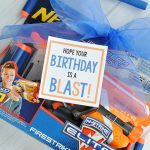 We had one boy and one girl to shop for this year and it was fun to do two versions of this graduation gift basket. What other things would you put in it? 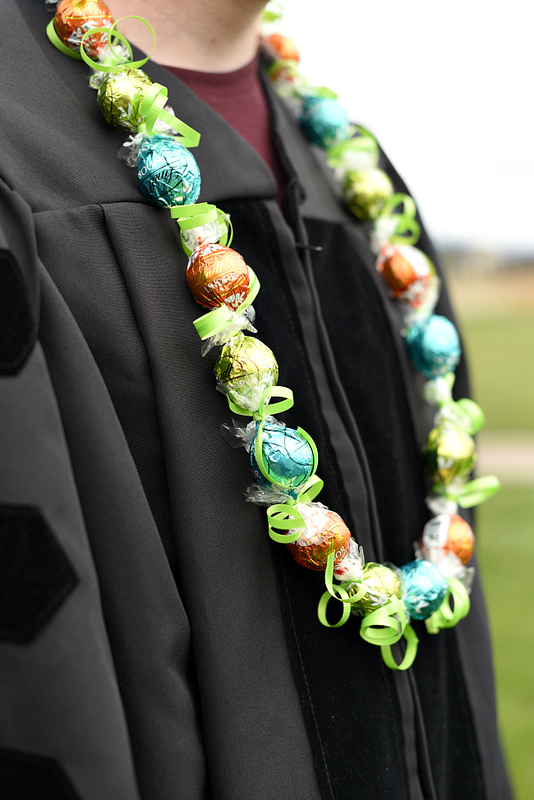 We used this idea for graduation, but it can really work for any occasion. 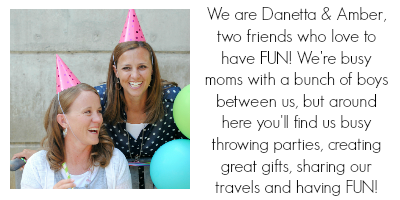 Here are some printable gift tags. To use these tags right click the image and save to your computer, open in a program like Word or Pages, size to what you like, and print. Or here’s a PDF file with 4 all ready to print! Hope yours turns out GREAT and that your recipient loves it! 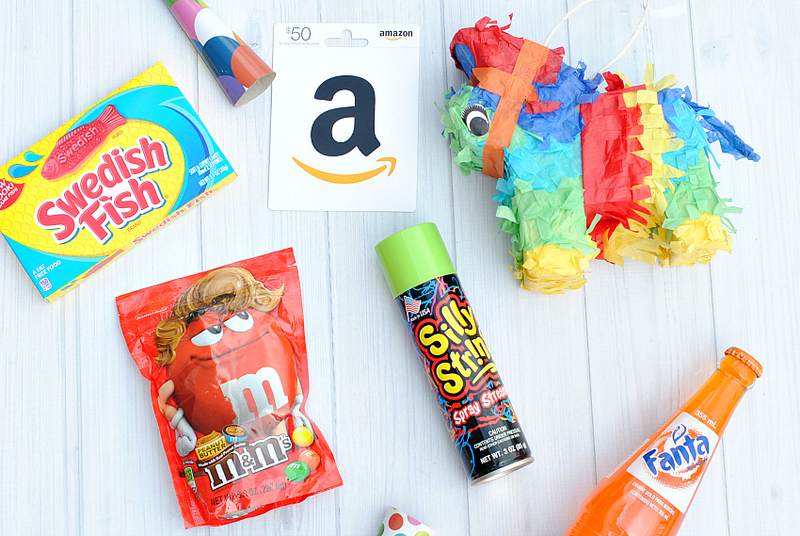 Have FUN putting together your DIY graduation gift basket!